When you get a phone call that a loved one has been locked up we understand that your first priority is getting them released. However, we also understand that, as with many things in life, cost does play a factor in your decision making. That's why at Arrow Bail Bonds we offer flexible, convenient payment plans to ensure that our services are affordable and accessible for everyone, regardless of their current financial situation. When you need affordable bail bonds in California, you need Arrow. Give us a call 24/7/365 to learn more about our payment options and to get started on the bail process to get your loved one released today. The California Premium Rate for bail bonds is 10% of the full bail amount but recently the Department of Insurance has provided wiggle room for bail bond agents in how much of the fee is collected and how the fee payment is delivered by the client. Once we learn what your loved one's bail is set at we can come up with a payment plan that fits your personal needs. While it is nearly impossible to provide an exact cost for bail without knowing the details of the case, we will be happy to discuss the potential fees and options available to you in your initial phone call or other consultation. 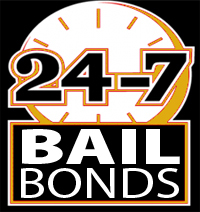 We specialize in signature bail bonds in order to give you the most flexible options when it comes to getting your loved one released. This type of bond only requires your signature and the upfront fee to secure bail. There is no collateral collected or listing of assets necessary! This is a bond truly based on our trust in you, because we treat every client like our own family. Regardless of the type of bond we issue for your loved one's release from jail we are happy to offer E-Z payment plans to ensure bail is affordable for you in your personal situation. These rates only require a down payment and the rest can be paid through affordable monthly payments. We also are able to offer discounted rates in some circumstances. Paying for a bail bond is easy with Arrow. We accept all major credit cards, including American Express, Visa, Mastercard, Discover and we take PayPal. Of course we also accept cash and checks. To learn more about our payment plans and our affordable bail bonds in California or our Southern California bail bonds give Arrow a call at (909) 891-0578 today! How to Find a Bail Bond Agency in California that works for you! What are the Indemnitor's Responsibilities for Posting Bail? Why should I use a bail bond to post bail for someone? 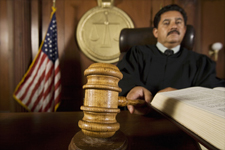 What Crimes Can a Bail Bond be Used With?